Syrah is the red wine varietal that rules the Northern Rhône Valley. 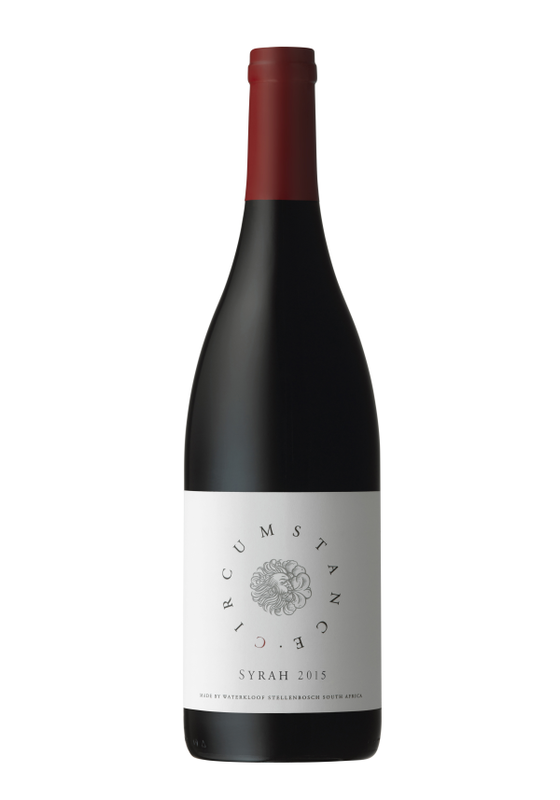 There are a number of legends associated with the origins of Syrah, which all add a touch of romance to the grape and today it ranks as the 6th most planted grape variety in the world. It is extremely versatile; adapts well to a wide range of regions and expresses a true sense of terroir. The block used for our Circumstance Syrah is planted on the south-facing slopes of the Schapenberg at an altitude of between 240 to 260 metres above sea level, and a mere 4km from the Atlantic Ocean. Strong south-easterly winds help control growth and crop yield. Our Syrah vines flourish in granite soils, just as they do in much of The Northern Rhône. Production was approximately 5 tons/ha. At Waterkloof we pride ourselves in not spraying any chemical herbicides or pesticides in our vineyards. We produce our own compost and biodynamic preparations, which we then apply by using our work-horses, as opposed to heavy tractors. These practices ensure loose soil with more life, where the vines can spread their roots as they please; taking up everything they need from our rich and complex earth. We believe that biodynamic farming leads to terroir-driven wines that are truly made in the vineyard. We harvest according to taste and find it essential to spend a lot of time in the vineyards to see how the flavours develop. All our grapes are hand-picked, cooled overnight and then processed the following morning. Grapes were not de-stemmed and we sorted through all the whole bunches to ensure that only the top-quality fruit was placed via gravity into our open-top wooden fermenters. The 100% whole bunch, natural fermentation started spontaneously by utilising the wild yeasts present on the fruit. The berries were punched down two to three times per day. Making sure not to break the stems too quickly and to slowly and softly extract the tannins, the wine was left on the skins for a total of 30 days before it was run off via gravity. The skins were then softly pressed, using a basket press and aged in older 600 litre French barrels for 19 months before bottling. The wine received no fining, which allowed the grape to be purely expressed in the wine. Only sulphur was added and no other additions, such as tartaric acid or enzymes were allowed. The Stellenbosch area experienced a good winter with sufficient rain to fill the dams and provide enough cold units in July to have the vines in full dormancy. From August, the temperatures started to rise slowly and spring arrived early with flowering occurring under ideal conditions. This ensured even ripeness, which contributed to excellent grape quality. We experienced slightly windy conditions during this stage, which led to looser bunches and helped to attain lower yields and more concentration. Rainfall fell off dramatically from September with warm, dry weather and less strong wind than usual. Throughout the growing season, temperatures remained moderate, with intermittent hot days. Veraison started about 2 weeks earlier than usual. For the rest of the growing season we saw little rain which resulted in very low disease pressure. Even though the days were warm, we noticed that the evenings cooled down very nicely. 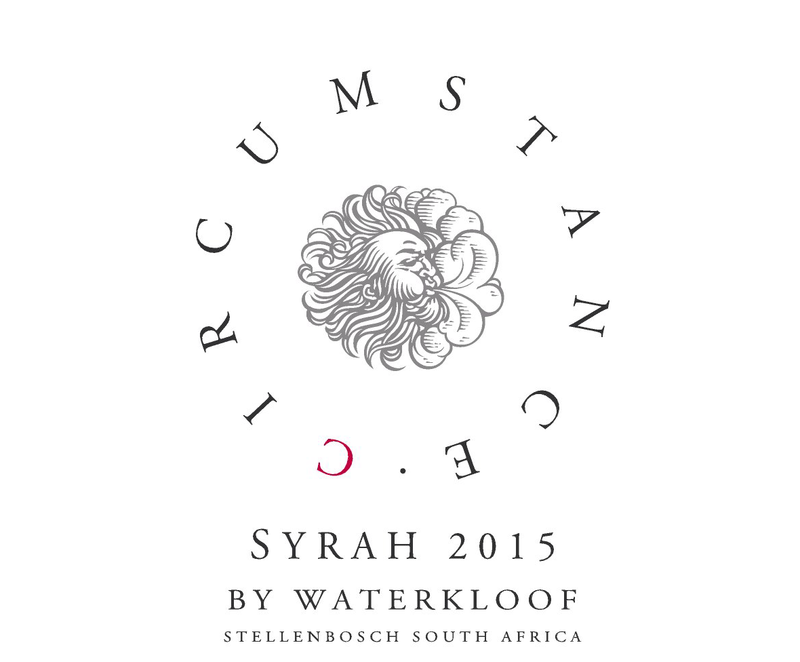 The 2015 harvest was the earliest to date at Waterkloof. We started picking around two weeks earlier than usual due to the early spring but hang time was sufficient to allow phenolic ripeness. The quality of the fruit was exceptional: low pH, high acidity and clean fruit with little to no rot. This wine shows elegant flinty notes with hints of black pepper and other spice on the nose, complemented by a fresh perfume scent. Bright fruit is carried by a fresh acidity and soft and well balanced tannins. Elegant with great length. Syrah is one of the most versatile wines to pair with food. Try it with poultry dishes, especially duck.